Some evidence suggests that the officials in the meeting may have failed to realize the seriousness of what was taking place when they learned of the attacks on the World Trade Center, and this was why they reacted so slowly. They could, perhaps, have mistakenly thought that what they were hearing about was a simulated scenario in a training exercise. Indeed, one of the officials has recalled that when they learned of the first crash, "At first we thought it was part of the briefing." The officials may therefore have felt it was unnecessary for them to respond immediately. If the officials were indeed confused about whether the attacks were real or simulated, might their slow response have been the intended result of an attempt by some of the people who planned and perpetrated the attacks to paralyze America's defenses, so as to ensure the attacks were successful? Might these planners--presumably rogue individuals within the U.S. military--have arranged what would happen on September 11 so that these key Air Force officials would initially fail to realize that a real-world crisis was taking place, which they needed to respond to immediately? The tactics used to prevent these officials from responding quickly could have been part of an effort to ensure key individuals from various military and government agencies, who might have organized a successful response to the attacks, were "out of the loop"--unavailable or unable to respond--when the attacks took place. The evidence currently available is limited and inconclusive. But the behavior of the Air Force's leaders when the 9/11 attacks began certainly deserves further scrutiny. The officers at the meeting should presumably have been promptly alerted to the crisis taking place in U.S. airspace and should then have immediately become involved in the Air Force's response to it. And yet it appears this did not happen. The dozens of experienced Air Force officers in the room immediately realized the crash must have been something other than an accident, according to John Jumper. "There was a conference table full of airmen who looked at that dark blue sky on CNN, then looked at each other, and we knew right away that it wasn't a navigation mistake," Jumper recalled. "Every airman in the room stiffened, because we knew exactly--instinctively--what was going on," he commented. And yet the meeting was not halted. Other evidence, however, casts doubt on these accounts, and suggests that after they saw Flight 175 crashing and it became obvious that the U.S. was under attack, the officers in Jumper's meeting reacted with alarming complacency. According to the Department of Defense's book about the Pentagon attack, the officers watched the TV coverage of the attacks in New York "for about eight minutes" and then "Jumper resumed the meeting." He supposedly concluded it "quickly." But according to an article in the Daytona Beach News-Journal based around an interview with Paul Kimmel, who was at the meeting, the meeting adjourned at 9:20 a.m.--around 20 minutes after its participants were alerted to the first crash at the World Trade Center and 17 minutes after they watched the second hijacked plane crashing live on television. If these accounts are correct--meaning that while the worst crisis possible was taking place, dozens of key Air Force officials spent several minutes just watching television and then wasted more time continuing their unnecessary and routine meeting--then this is astonishing. The need to respond to the attacks should have superseded anything the men were doing. Surely, at the very least, they should have wanted up-to-the-minute updates on what was happening. But they could do nothing while they were watching television or continuing a staff meeting. Even if these men failed to respond appropriately, surely someone else should have gone into the room and made sure the meeting ended at once, and the officers helped the Air Force respond to the attacks. And yet that did not happen either. Why did these experienced Air Force officers apparently respond so inappropriately when they saw their country was under attack? Clearly, a new investigation of 9/11 is necessary to properly answer this question. But we can at least consider possible explanations based on the currently available evidence. Paul Kimmel has recalled that when he and the other officers in John Jumper's meeting learned of the first crash at the World Trade Center, and the screen that had been showing briefing slides switched to showing the burning North Tower, "At first we thought it was part of the briefing." Could this be a clue as to why the officers failed to take action right away? If they thought the report of the crash and the TV coverage of the burning World Trade Center were simulated, they might have felt it was unnecessary for them to respond to the incident immediately. It seems incredible, though, that the officers could have mistaken the TV coverage for part of the briefing. Surely it should have been obvious to them that the coverage was genuine. Unless, perhaps, they were used to seeing expensively produced, realistic video footage of simulated terrorist attacks in their training exercises or briefings, such that they could mistake genuine TV coverage of an attack for simulated coverage. WHY WAS THERE A DELAY BEFORE THE OFFICERS WERE ALERTED TO THE FIRST CRASH? If it is correct that the officials in Jumper's meeting were only alerted to the first crash at the World Trade Center at around 9:00 a.m., then this gives rise to further questions. Since this critical information would presumably have been of particular interest to the leaders of the Air Force, Jumper's meeting should surely have been interrupted and its participants alerted to the crash right away after it was first reported. The information was certainly considered important enough to be passed on to the meeting participants at around 9:00 a.m. So surely it was important enough to be passed on to them 11 minutes earlier, when CNN first announced what had happened. But could the meeting have been interrupted even earlier than that, to notify its participants that American Airlines Flight 11--the first plane to hit the World Trade Center--had been hijacked? The hijacking, according to The 9/11 Commission Report, occurred at around 8:14 a.m. Between 8:25 a.m. and 8:32 a.m., managers at the Federal Aviation Administration's Boston Center started notifying their chain of command that a suspected hijacking was in progress. The U.S. military was first alerted to the hijacking at 8:37 a.m., when the Boston Center contacted NORAD's Northeast Air Defense Sector about it. But it appears that no attempt was made to pass on the report of a suspected hijacking to the Air Force leaders in Jumper's meeting. The first notification they received that anything was wrong apparently came when they learned of the first crash at the World Trade Center. Even after his staff meeting adjourned, John Jumper appears to have continued acting inappropriately, as if he was still unaware of the seriousness of the situation. The staff meeting was held in a room that was part of the Air Force Operations Center, in the basement of the Pentagon, according to veteran military journalist Richard Whittle. Jumper eventually settled in the Operations Center, where he was able to respond to the attacks. But when his meeting ended, he first headed to the office of James Roche, the secretary of the Air Force, which was on the fourth floor of the Pentagon. Jumper did this, he said, because he wanted to bring Roche down to the Operations Center. But surely, as the Air Force's most senior uniformed officer, he should have stayed in the Operations Center when his meeting ended, so he could immediately become involved with monitoring events and helping to organize the Air Force's response to the attacks. Someone of lower rank could easily have arranged for Roche to be brought down to the Operations Center. The Operations Center would certainly have been a more appropriate place than Roche's office for Jumper to be at such a critical time. The fact that it was located deep underground in the basement surely made it one of the safest parts of the Pentagon to be in during an attack on the U.S.--much safer than an office on the fourth floor. Additionally, the Air Force's Crisis Action Team (CAT) at the Pentagon was operating from there. The CAT was a "disaster response group," which, according to the Dover Post, "coordinates Air Force reaction to anything that might be a threat to the United States." As it responded to the crisis, the CAT became "the eyes and ears of the Air Force," according to Major Harry Brosofsky, who was in the Operations Center on September 11. In the Operations Center, therefore, Jumper would have been in an ideal position to help organize the Air Force's response to the attacks. But by taking time out to walk up to the fourth floor and fetch Roche down to the basement, Jumper may have left himself "out of the loop"--such that he could not receive the most accurate and timely updates on the crisis, and other officials could not communicate with him--during a critical period in the middle of the attacks. It is surprising too that Jumper's colleagues allowed such an important official to leave the safety of the basement and go up to the more vulnerable fourth floor of the building when the U.S. was in the middle of a serious terrorist attack and anything could have happened next. Tim Green, for example, who had been in the staff meeting with Jumper, "knew his main directive was to secure Jumper and make sure he could communicate with other officials" after the Pentagon was attacked at 9:37 a.m., according to the Midland Reporter-Telegram. But surely if he genuinely realized the U.S. was under attack earlier on, when he learned of the crashes at the World Trade Center during Jumper's meeting, Green would have made sure that Jumper stayed in the Operations Center after his staff meeting ended, for his safety and so he could communicate with other officials. As it was, Jumper, along with Roche, only headed from Roche's office down to the Operations Center after the Pentagon was attacked. At that time, Philip Breedlove, who was with the two men in Roche's office, promptly arranged for them to be taken to the Operations Center. He "hit the duress button and security forces were almost immediately in the room," according to Air Force Magazine. The security officers were told, "We need to get to the bunker; we need to get down to our operations area." Some of the officers who were with Jumper in his staff meeting may also have continued acting inappropriately after the meeting ended, as if they were still unaware of the seriousness of the situation. Officers reportedly "ran upstairs to their offices" after the meeting adjourned. Some of these men were presumably among the "various generals and other brass" who subsequently gathered in the Operations Center. (Lance Lord, for example, is reported to have gone to the Operations Center after the Pentagon was hit. ) But surely, when the meeting ended, these officers, like Jumper, should have simply stayed in the Operations Center, where they would presumably have been in the ideal location to respond to the ongoing attacks. Since Air Force personnel eventually played a significant role in responding to the 9/11 attacks, then, surely the key Air Force officials in Jumper's meeting should have been responding to the attacks from the outset. WHAT EFFECT DID THE AIR FORCE LEADERS' SLOW RESPONSE TO THE ATTACKS HAVE? The behavior of the officials in John Jumper's staff meeting and some of their colleagues at the time of the 9/11 attacks gives rise to some serious questions. For example, why did it take until about 9:00 a.m. for the officials to be alerted to the first crash at the World Trade Center when the crash had been reported on television since 8:49 a.m.? Furthermore, why did no one else in the Air Force interrupt Jumper's meeting and demand that the officials attending it start responding to the attacks right away? 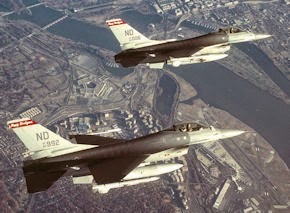 WAS THE AIR FORCE INVOLVED IN A TRAINING EXERCISE ON SEPTEMBER 11? It is important to find out if Air Force personnel were scheduled to participate in a training exercise on September 11. If so, did the officials in Jumper's meeting think the reports of the crashes at the World Trade Center were part of that exercise? Is this why they apparently failed to respond with an appropriate level of urgency? In support of this possibility is the fact that Lieutenant Colonel Matt Swanson, who was in charge of the CAT on September 11, is reported to have indeed mistaken events that morning for an exercise scenario. After he learned about the first crash at the World Trade Center, Swanson received a call on the phone in his office at the Pentagon in which he was instructed to go and join the CAT. But he reportedly only "realized this was no exercise" when he reached the Operations Center, and "was greeted by both the chief of staff and the secretary of the Air Force, along with various generals and other brass." Did Swanson misinterpret the situation because he thought the Air Force was going to be involved in an exercise that morning, maybe based around a simulated terrorist attack? We also need to determine if it was simply a coincidence that at exactly the time when the Air Force had to respond to an actual terrorist attack, its leaders at the Pentagon were receiving a briefing about terrorism, which included descriptions of terrorist incidents and slides depicting the faces of terrorists. Or was there a more sinister reason for this concurrence of events? Might the briefing on the subject of terrorism perhaps have been put together by rogue individuals, with the intention of causing confusion when the 9/11 attacks occurred, since those receiving the briefing might think any reports about the attacks in New York were part of it? Was the briefing therefore intended to hinder the Air Force's response to the attacks? If so, who was responsible for deciding what its contents would be? And if, as Paul Kimmel stated, the officials at Jumper's meeting initially thought the news of the first crash at the World Trade Center was part of the briefing, when did they realize for certain that this was not the case and that a real incident had occurred? It is worth noting that the failure to immediately adjourn John Jumper's meeting in response to the attacks on the World Trade Center was apparently not an isolated incident. Another meeting held by the Air Force that was taking place in the Pentagon when the attacks began appears to have only ended some time after 9:30 a.m. The meeting appears to have only adjourned some time after 9:30 a.m., since Colonel Susan Kuehl, who supervised the operations of the NMCC, and Captain Charles Leidig, who took Winfield's place as DDO in the NMCC during the attacks, have both recalled that Winfield only arrived in the NMCC after leaving it after 9:37 a.m., when the Pentagon attack took place. It is unclear why the meeting went on until this time, considering it had been obvious since 9:03 a.m. that the U.S. was suffering a major terrorist attack. Kuehl said the meeting had been a "do not disturb" meeting, and according to a 9/11 Commission memorandum, "Such meetings are generally not disturbed unless the reason is significant." The attacks in New York were surely a significant enough reason for someone to have interrupted the meeting and demanded that it be brought to an end immediately. All the same, it appears that the meeting was allowed to continue after the two hijacked planes crashed into the World Trade Center. Like John Jumper's staff meeting, then, this was a previously scheduled meeting held by the Air Force and attended by senior officers, which failed to adjourn promptly in response to the attacks on the World Trade Center and resulted in high-level officials being unavailable to immediately respond to the attacks. Was some of what we know about this meeting also true of Jumper's meeting, then? Was Jumper's meeting a "do not disturb" meeting of the kind that was "generally not disturbed unless the reason is significant"? This question, like the other questions raised in this article, requires further examination and should be addressed in any new investigation of the 9/11 attacks. Alfred Goldberg et al., Pentagon 9/11. Washington, DC: Defense Department, Office of the Secretary, Historical Office, 2007, p. 136. "U.S. Air Force Budget." Washington Journal, C-SPAN, February 21, 2002; Richard Whittle, Predator: The Secret Origins of the Drone Revolution. New York: Henry Holt and Company, 2014, p. 234. Eleanore Osborne, "Sept. 11 Stirs up Retiree's Memories." Daytona Beach News-Journal, September 7, 2004. Alfred Goldberg et al., Pentagon 9/11, p. 136; Jack Maher, "Pentagon Survivor Shares Sept. 11 Memories." 9News, August 30, 2011; Richard Whittle, Predator: The Secret Origins of the Drone Revolution, pp. 233-234. Jack Maher, "Pentagon Survivor Shares Sept. 11 Memories." Eleanore Osborne, "Sept. 11 Stirs up Retiree's Memories." Keith Carls, "Former Pentagon Staffer Shares Memories of 9/11 Attack." KEYT NewsChannel 3, September 11, 2012. A. J. Bosker, "Surgeon General, X-Ray Tech Work Together During Rescue Efforts." Air Force Print News, September 14, 2001; Dean E. Murphy, September 11: An Oral History. New York: Doubleday, 2002, p. 216; Hillary S. Condon, "Former West Texan Was in Pentagon on September 11." Midland Reporter-Telegram, April 2, 2002; Lance Lord, "A Year Ago, a Lifetime Ago." Air Force Space Command News Service, September 5, 2002; William J. Sharp, "Airmen Remember Pain of Sept. 11." Air Force Print News, September 11, 2003; Eleanore Osborne, "Sept. 11 Stirs up Retiree's Memories"; Jane Hampton Cook, Jocelyn Green, and John Croushorn, Stories of Faith and Courage From the War in Iraq & Afghanistan. Chattanooga, TN: God and Country Press, 2009; Nancy Chen, "Vandenberg Airman Remembers Being in Pentagon With Top Brass on 9/11." KSBY 6, September 10, 2011; Adam Parker, "Q&A With Rev. Charles Baldwin, 9/11 Pentagon Chaplain." Charleston Post and Courier, September 11, 2011; Randy Roughton, "First Day." Airman, September 15, 2011; Betty R. Kennedy (Editor), Turning Point 9/11: Air Force Reserve in the 21st Century, 2001-2011. Robins AFB, GA: HQ Air Force Reserve Command, Directorate of Historical Services, 2012, p. 53. Eleanore Osborne, "Sept. 11 Stirs up Retiree's Memories"; Alfred Goldberg et al., Pentagon 9/11, p. 136. Randy Roughton, "First Day"; Richard Whittle, Predator: The Secret Origins of the Drone Revolution, p. 234. Lance Lord, "A Year Ago, a Lifetime Ago"; Janene Scully, "Lt. Col. Lee-Volker Cox Was There." Lompoc Record, September 11, 2003. Keith Carls, "Former Pentagon Staffer Shares Memories of 9/11 Attack." Hillary S. Condon, "Former West Texan Was in Pentagon on September 11." George Abry, "Jumper '66: A Leader in High Demand Values VMI's Contribution to the Nation." VMI Alumni Review, 2014. Lance Lord, "A Year Ago, a Lifetime Ago." Jane Hampton Cook, Jocelyn Green, and John Croushorn, Stories of Faith and Courage From the War in Iraq & Afghanistan. Alfred Goldberg et al., Pentagon 9/11, p. 136. Nancy Chen, "Vandenberg Airman Remembers Being in Pentagon With Top Brass on 9/11." Lance Lord, "A Year Ago, a Lifetime Ago"; Janene Scully, "Lt. Col. Lee-Volker Cox Was There"; Randy Roughton, "First Day." "8:48 a.m.-9:29 a.m." CNN, September 11, 2001; "Terrorist Attack on United States." Breaking News, CNN, September 11, 2001; James Bamford, A Pretext for War: 9/11, Iraq, and the Abuse of America's Intelligence Agencies. New York: Doubleday, 2004, pp. 16-17. 9/11 Commission, The 9/11 Commission Report: Final Report of the National Commission on Terrorist Attacks Upon the United States. New York: W. W. Norton & Company, 2004, p. 4. "Summary of Air Traffic Hijack Events: September 11, 2001." Federal Aviation Administration, September 17, 2001; 9/11 Commission, The 9/11 Commission Report, pp. 19-20. Richard Whittle, Predator: The Secret Origins of the Drone Revolution, pp. 233-234. "Florida Anthrax Scare." Larry King Live, CNN, October 10, 2001; Alfred Goldberg et al., Pentagon 9/11, p. 136. "U.S. Air Force Budget"; Randy Roughton, "First Day"; Richard Whittle, Predator: The Secret Origins of the Drone Revolution, p. 234. Christine Yackel, "Hostile Intent." Syracuse University Magazine, Winter 2001-02; Hillary S. Condon, "Former West Texan Was in Pentagon on September 11." Jeff Brown, "USAF Reserve Officer, Two Former DAFB Officers in Pentagon the Day of the Strike." Dover Post, September 19, 2001; "Event Details and Registration: Remembering 9/11--Pentagon." Federal Aviation Administration, September 11, 2011. Adam J. Hebert, "Airmen on 9/11: Col. Philip Breedlove." Air Force Magazine, September 2011. "Reflections on 2 Days." Prospectus, Fall 2006. Janene Scully, "Lt. Col. Lee-Volker Cox Was There." Adam J. Hebert, "Airmen on 9/11: Col. Philip Breedlove." Jeff Brown, "USAF Reserve Officer, Two Former DAFB Officers in Pentagon the Day of the Strike." Air Threat Conference and DDO Conference, Transcript. U.S. Department of Defense, September 11, 2001; 9/11 Commission, The 9/11 Commission Report, p. 37. "DODD 3020.26: Continuity of Operations (COOP) Policy and Planning." U.S. Department of Defense, May 26, 1995; Alfred Goldberg et al., Pentagon 9/11, p. 136; "AFMCI 10-208: Continuity of Operations (COOP) Program." Air Force Materiel Command, October 16, 2013. "Memorandum for the Record: Orientation and Tour of the National Military Command Center (NMCC) and National Military Joint Intelligence Center (NMJIC)." 9/11 Commission, July 21, 2003; "Memorandum for the Record: Interview With Captain Charles Joseph Leidig, USN, Commandant of Midshipmen, U.S. Naval Academy." 9/11 Commission, April 29, 2004; "Statement of Capt. Charles J. Leidig, Jr., Commandant of Midshipmen, United States Naval Academy, Before the National Commission on Terrorist Attacks Upon the United States." 9/11 Commission, June 17, 2004. Interview with Colonel Susan Kuehl, written notes. 9/11 Commission, April 2, 2004; Interview with Captain Charles Joseph Leidig, written notes. 9/11 Commission, April 29, 2004; "Memorandum for the Record: Interview With Captain Charles Joseph Leidig, USN, Commandant of Midshipmen, U.S. Naval Academy." How many dunces does it take? No one fired for this amount of incompetence? How many people (who could have prevented 9/11 (by ordering the hijacked planes be shot down) were meeting while the largest crime in US history was occurring ?i I see very little hope when no one connected the dots. More importantly, if our system of government allows this to go on, our government is incompetent and broken. Obvious! Thinker on Wed, 01/14/2015 - 11:44pm. AConfederacyofDunces on Thu, 01/15/2015 - 12:48am. And let's not forget Mr. Rumsfeld . . .
. . . the celebrated civilian head of the War Department, who left his post in the middle of the attacks so he could venture down and around to observe the wreckage from the Pentagon hit--and then decided that he was really a paramedic (!!!) --only arriving back at his office in time for Flight 93 to crash. And then he claimed that he didn't acquire "situational awareness" until around 10:28, well after the attacks were completed. This goes even beyond incompetence; it's just too stupid to be stupid. JTL on Wed, 01/21/2015 - 8:53am. It is likely that the "appearance of incompetence" was factored into the planning of 9/11. It was a very easy sell - the public has long been under the impression that "the government" is an unwieldy dinosaur and the head doesn't know that the tail is doing. This is a form of limited hangout - a subtle, covert, admission of some degree of complicity, while evading the real truth and shielding the public from the reality . "Shock and awe" was a parallel factor built into this - the emotional response on the part of the public, - shock, sadness, then anger, with the accompanying burial of rationality, insured that the rush for revenge against the alleged perps far outweighed the concern to bust a few "incompetent officials". USA!!! USA!!! USA!!!! The perps are masters in the art of mass psychological manipulation - they've been doing it for decades, and the psyop aspect was one of the principle factors that has (to date) allowed the perps to remain free and on the loose, ready to strike again at a time of their choosing. The fact that they are in absolute control of the lapdog corporate media lackey-brigade was their ace card. bloggulator on Thu, 01/15/2015 - 1:18pm. Disgusting isn't it? What a great country we had. Thinker on Thu, 01/15/2015 - 11:53pm. And, considered from this angle, appears to have backfired pretty badly. When we consider the first account given, that no scramble orders were even issued until after the Pentagon had been hit--which was clearly untrue--there's room for a lot of incompetence there. But your view is only reinforced by the second account, the NORAD timeline released a week after 9/11, wherein scramble orders were issued in response to all four airliners--and where all the notification times were given. Even the 9/11 Commission (and Kean & Hamilton in their book) acknowledged that if these notification times were correct, it was hard to understand how at least one of those airliners wasn't intercepted. How many times do we hear the knee-jerk response that, "They just lied to cover up incompetence"? But if these notification times were false, they could only have lied to make themselves look incompetent--again validating your hypothesis. Unless these people really are just too stupid to exist. Perhaps they had gone too far in trying to convey this unbelievable incompetency? So it was the 9/11 Commission to the rescue, but only by shifting the massive incompetence entirely over to the FAA and away from the military. What a remarkable solution. JTL on Wed, 01/21/2015 - 9:13am.